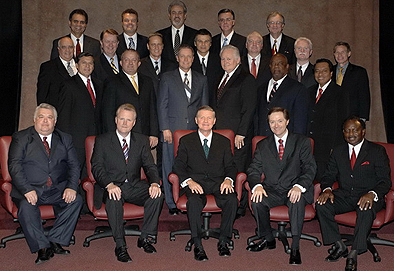 Upsilon Xi alumni were elected to dozens of senior offices at the 72nd COG General Assembly held in August of 2008. For the third consecutive Assembly, the highest office in the Church of God (the General Overseer) was awarded to a Upsilon Xi alumnus (Dr. Raymond Culpepper). 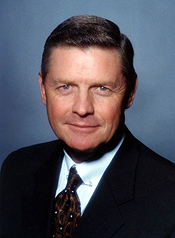 Also elected to serve as the Third Assistant General Overseer was David Griffis, and Loran Livingston was again chosen to serve on the "Council of 18." In addition to these offices, four Upsilon men continue to serve on the Lee University Board of Directors. Member of the "Council of 18"